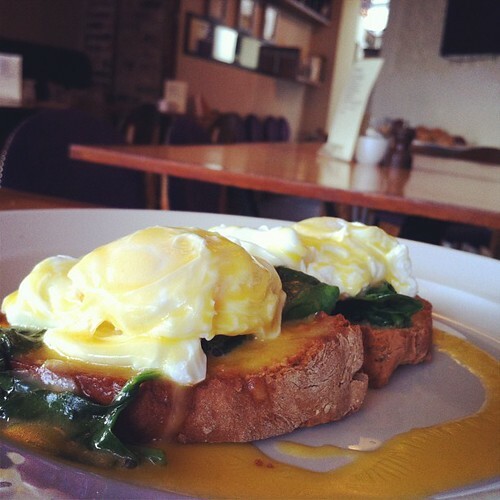 Here are the restaurants and cafes in Cork offering special weekend brunch menus. Yes, some are even open early mornings or on Sundays! You can also contact me on Twitter @BrunchCork if you’re on the go and can’t read this blog post but need a recommendation. Breakfast and Lunch Mondays through Fridays. Early Dinner and A La Carte Dinner Monday though Saturday. 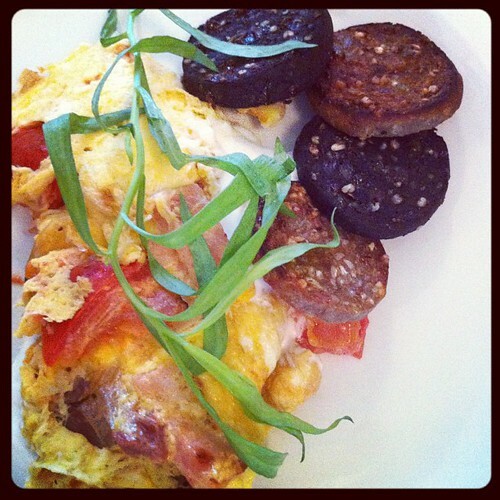 Menu includes fluffy pancakes, eggs Benedict, eggs Florentine, fresh-baked breads/croissants/scones, and scrambled eggs. 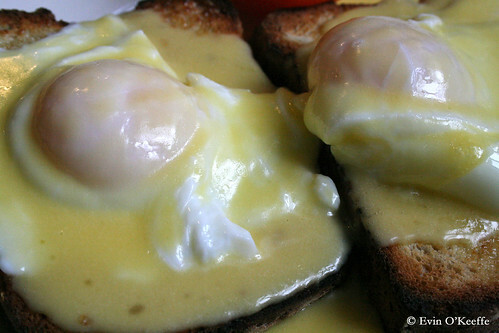 Their Hollandaise sauce is Pasteurized (great for pregnant ladies). I love this place because of its warm neighborhood feel. Linger over the morning newspaper and enjoy starting the day on your terms at your pace or meet up with friends and tease them about the crazy stuff they did the night before! Brunch (menu) on Sundays from 12 Noon to 3:30 p.m. Sat brunch: 9:00 am – 4:00 pm. Breakfast weekdays. 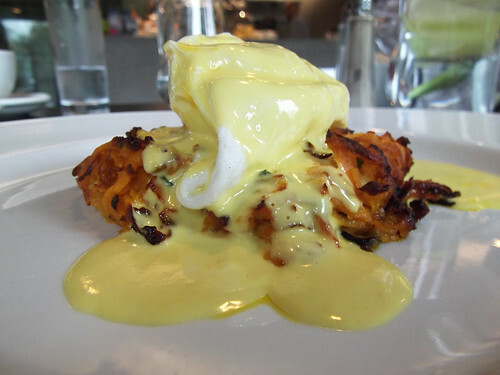 Brunch (menu) from 10:00 a.m. to 5:00 p.m. on Saturdays and from 12 Noon to 5:00 p.m. on Sundays. Tables are in demand (reservations available by phone) and a stroll around the gallery afterward is a good excuse to eat something decadent. Evidently (and not surprisingly), it serves up the best food on UCC campus hands down. For peek inside their kitchen, check out the appetite-inducing video of the food as photographed by Neil Danton. Great location for art lovers. Brunch 8:00 a.m. to 5:00 p.m. on Saturdays. Breakfast weekdays. 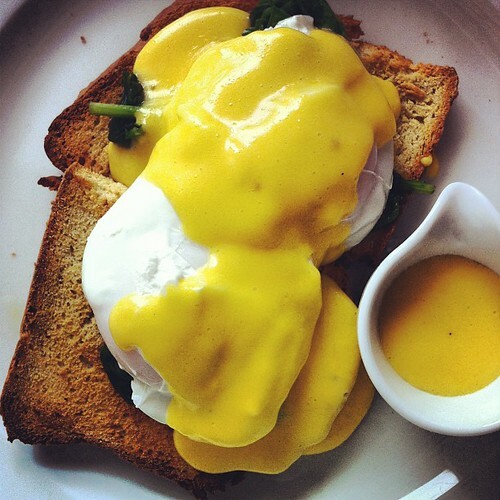 Like Fenns Quay, their Hollandaise sauce is Pasteurized (great if pregnant). Mondays through Saturdays from 8:30 a.m. to 6:00 p.m.
Brunch from 9:00 a.m. to 4:00 p.m. on Saturdays. Breakfast weekdays. Great location for art lovers. 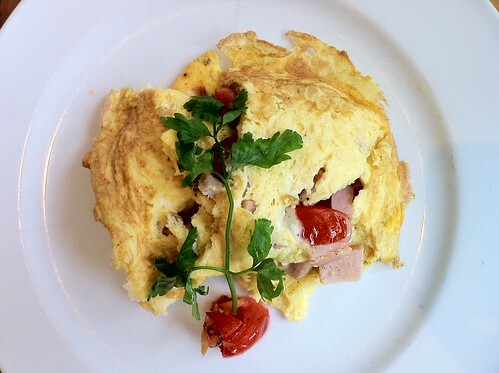 Morning menu includes French omelets as well as their usual and large traditional French crepes. 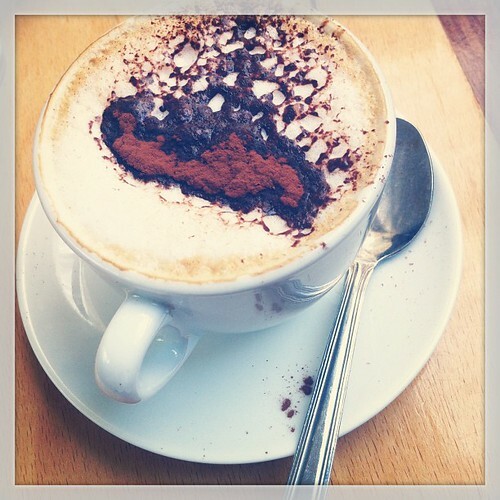 Breakfast daily specialising in coffee and food that goes well with coffee. Brunch from 8:30 a.m. on Saturdays. Breakfast Monday through Friday. Great if there’s a match on – have you seen their TV collection? 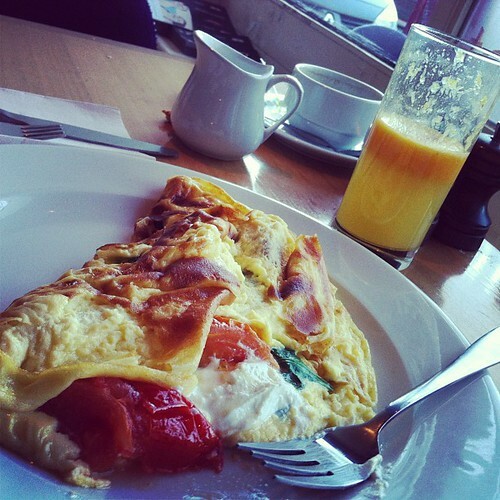 Breakfast/Brunch from 8 a.m. on Saturdays. 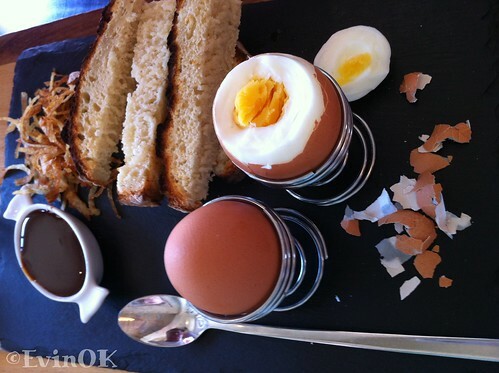 Brunch and lunch (menu) from 10:00am on Saturdays and Sundays. and Noon to 4pm on Sundays. Serves a weekly special Sunday lunch (sample menu) and even more Special Gourmet Brunch a few times a year (Mother’s Day, Easter, Father’s Day, Jazz Festival). 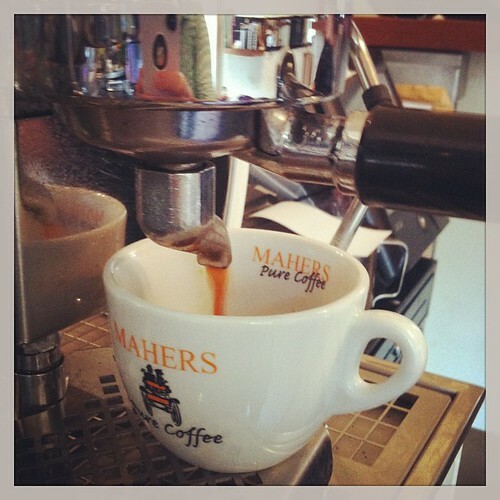 Only open on Sundays for Mother’s Day, Father’s Day, Valentine’s Day, Jazz weekend, and holiday weekends. Would be great on a sunny day if you grabbed a table by the waterfall! Though not in Cork City, is a notable destination serving lunch at 1:00pm with a regular menu on Saturdays and a special buffet on Sundays (details). The school offers a Brunch Cooking Course too. I went to Saturday lunch here for my birthday in 2009. Lunch (menu) from 12 Noon to 3:00 p.m. on Saturdays. Lunch from 12 Noon or 1 p.m. on weekends. Lunch from 12 Noon to 3:00 p.m. on Saturdays. 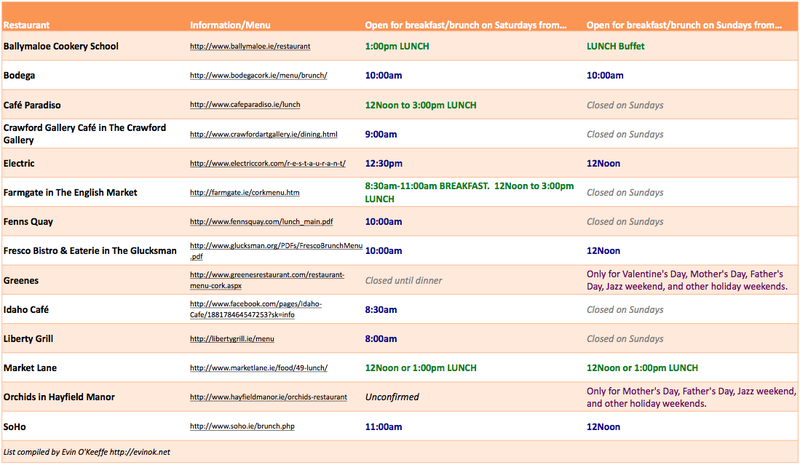 I link to their brunch or weekend morning menus whenever possible. Because you probably came here for information, I’m adding all the mouth-watering brunch photos to the end of this post. PLEASE NOTE: This post only lists the weekend hours. These establishments also have weekday hours which you can learn about by clicking on the restaurant name to visit their website. To help you locate the nearest spot to you, I’ve placed as many of these restaurants (or their host hotels) in a custom Google BRUNCH IN CORK Map. 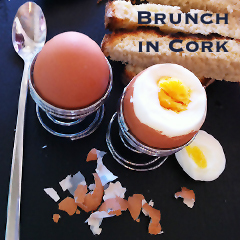 There’s also an @BrunchCork Twitter account and Brunch in Cork Facebook page devoted to this exact topic! Brunch can be for friends to catch up after a busy week or a time for family to gather, especially for holidays like Mother’s Day, Father’s Day, Easter, Jazz Festival weekend or some such special occasion. But I like brunch any weekend! Yes, it took a bit of time and effort to create this list not to mention the maintenance, but it’s worth it to bring you the bliss of brunch. But if you really REALLY want to thank me (like say, if you were totally hungover when you read this list and found the perfect brunch to soothe your day-after-wild-night self and think I’m an angel), I have an Amazon.co.uk Wish List and an Etsy wish list. Or you can buy my son a present from LB’s Amazon wish list . Or you can comment on this post with lovely words! No matter what, be sure to follow me on Twitter and Facebook for all the latest tasty updates. Did you know I design knitwear and published a book? Bake Knit Sew is available in paperback and ebook versions from select retailers (full list). 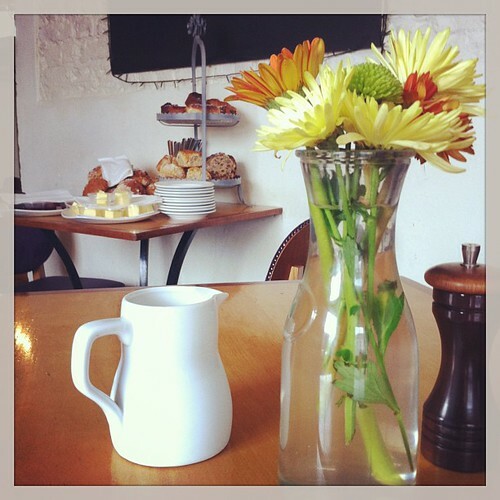 This entry was posted in Cork City, Ireland and tagged brunch, Fenn's Quay, Travel | Cork.